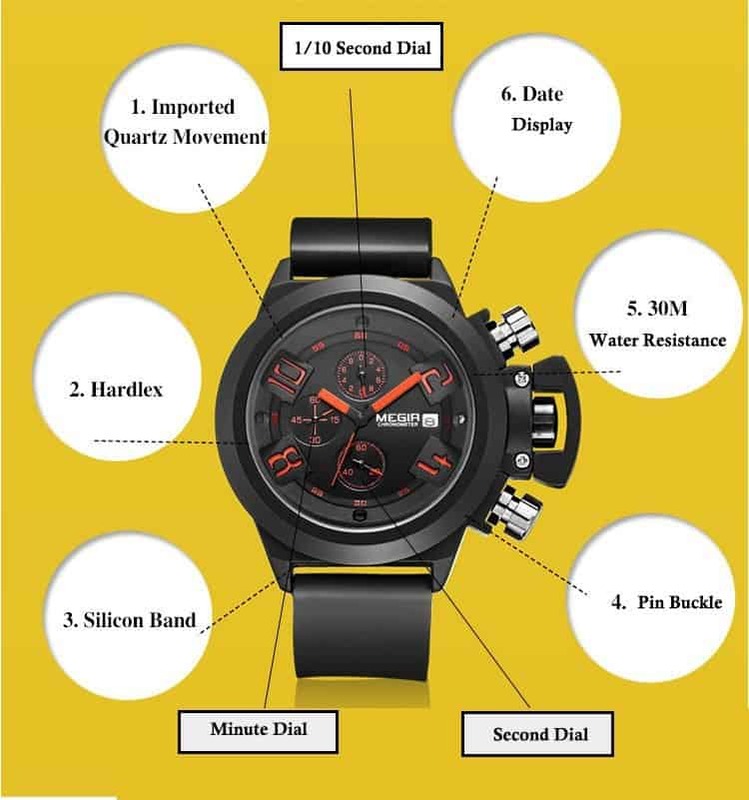 While everyone is looking for buying a smartwatch as a gadget, people are forgetting about the old trendy analog watches which are durable, stylish and of course much cheaper. Sometimes, you may hate wearing a smartwatch, especially when you are going for hiking or some outdoor activities and want to keep you away from everyone for peace, well you will have to move back to something to the 90s’. Remember the analog watches which is used to be designed with so much of creativity and we used to buy them a lot when we are away from the silicon world ? We’re going to talk about a gadget today which will take us back to 90’s 🙂 So, MEGIR water-resistant watch is a perfect combination of design, craftsmanship and excellence. So, what’s inside it? Let’s take a look. 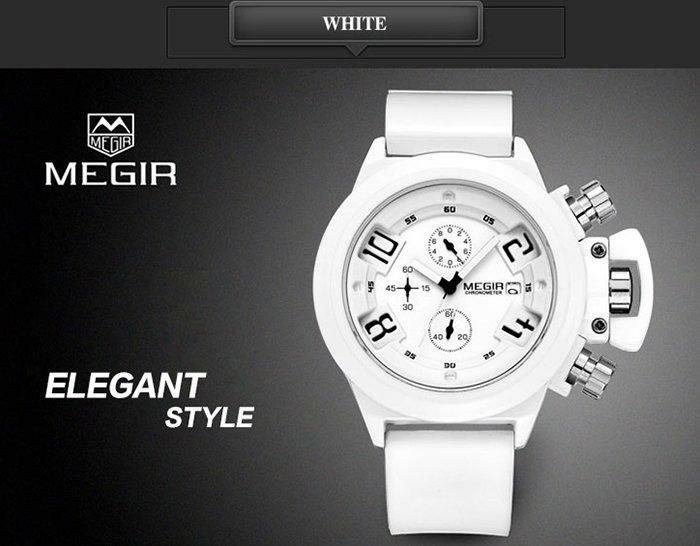 It comes with imported Quartz which will keep your time accurate, and won’t let you down ever. It comes with a Hardlex Crystal mirror for safety and isolation from the environment. It also protects it from scratch and adverse weather condition. MEGIR Quartz also has a mini date and day display, and so no need to take out your phone every time you need to remember what date or day it is. You can carry the whole calendar on your watch. Going to pool? Don’t worry, it also resists water up to 30 meters. That means it can be damaged with water only when you get 30 meters deep, but i guess you won’t go 30 meters deep unless you’re a diver. So, it is perfect for swimming, but in case of diving, it can handle upto 30 meters under water. 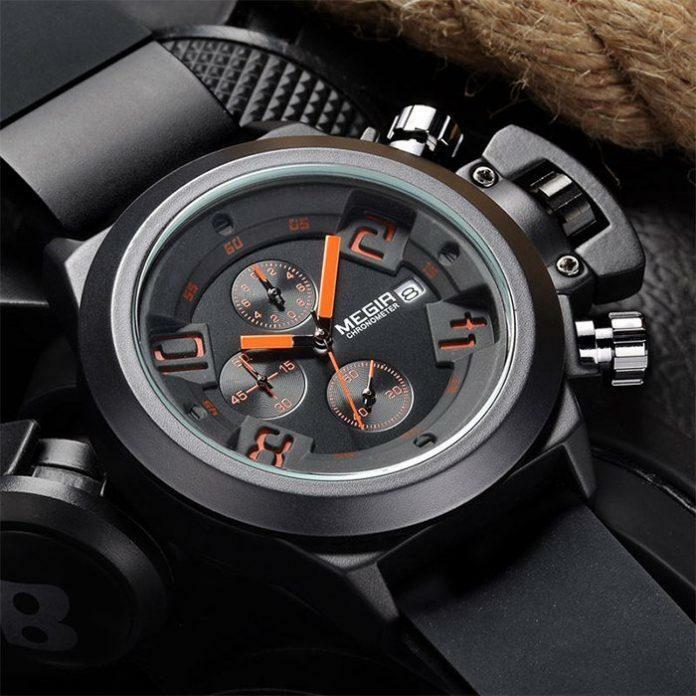 No watch can be good if it is not comfortable to wear, this watch has Silicone Wrist Band which is cool and comfortable around your wrist. Its black band also fits for every situation and occasion. 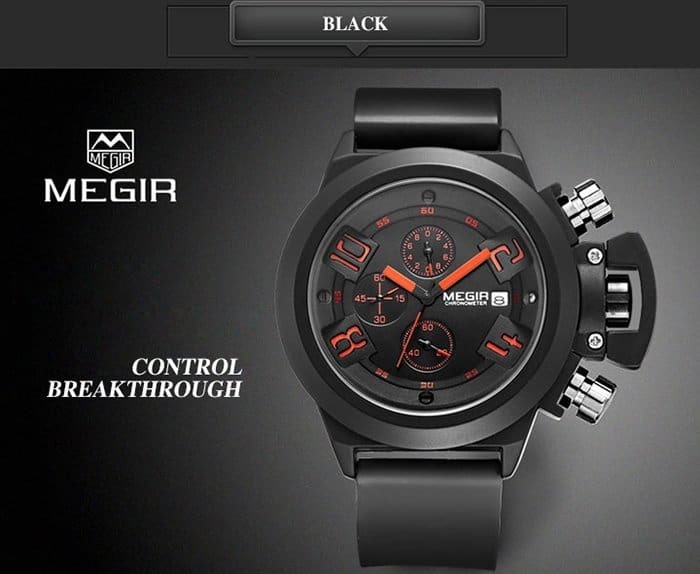 MEGIR Quartz watch comes with many other good features which include classic pin buckles, charming big cool crown, and more ideal values. Next articleOnePlus 2 First Sale: 30K Units Sold Out in 64 Seconds !